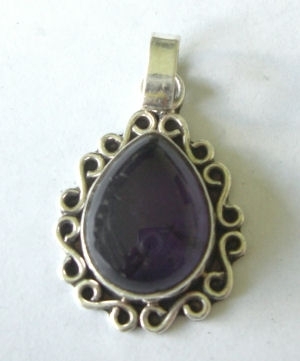 The amethyst is set in silver, it has been handcrafted in a beautiful delicate open 's' design all round the stone. Pendant drop is 25mm incl the bail. A really lovely pendant.